On his maiden trip to the United Kingdom, which can only be described as a diplomatic success, the chairman of the SLPP – Chief Kapen was at a well attended social event organised by the SLPP UK and Ireland branch, where he met with the party’s Council of Elders, the Electoral Commissioner and team and the outgoing executive, last Saturday, 12th October 2013, in London. In his message, which was the climax of the evening, Chief Kapen talked about hope for Sierra Leoneans under the SLPP, and the emergence of what he described as the “basic elements of our democracy” which his leadership of the SLPP will pursue. Chief Kapen said that hope is an important element in determining man’s faith. He said as Sierra Leoneans hope should give us energy to transform our society from backwardness to a brighter future. “Let us look for that hope, and you will only find that hope in the SLPP”, he confidently boasted to the loud applause of his London audience. His speech came as the relationship between President Koroma and Vice President Sumana degenerates and becomes more symbolic than functional. Government ministers are preoccupied with presidential succession planning rather than initiating policies to improve the lives of citizens. As leader of the country’s main opposition, Chief Kapen witnesses the daily grind of ordinary people in Sierra Leone who are full of despair, as they struggle to feed themselves and their families; struggle to find employment, educate their children, and provide decent shelter against the elements. Hence Chief Kapen feels a deep sense of duty to tell those suffering ordinary people that HOPE can triumph over DESPAIR. The social event which took place in London last Saturday attracted audience from across the political divide – PMDC, APC and SLPP, who listened keenly to Chief Kapen’s speech. But as an astute politician, Chief Kapen knows that just by talking about hope for ordinary people under the SLPP – though crucial it may be, is not enough. So he outlined his vision for the SLPP, as well as how SLPP will make a difference to the lives of ordinary people. He described this vision as his “basic elements of our democracy”. According to chief Kapen, this is underpinned by a few principles: Utilising our common efforts for the common good; Winning the heart and minds of the people and; Restoring affection amongst ourselves as both party members and citizens. On “how to utilise our common efforts for the common good”, Chief Kapen said the SLPP is now a party for all Sierra Leoneans. And he stressed that the party will create a platform for every Sierra Leonean to contribute to national development. On “how to win the hearts and minds of the people”, he said that as a result of his election, the SLPP has shown that it is now a grassroots party by electing him – a chief who has served his local people for 22 years. And that for the first time in its history, the party has elected a Northerner who is also a Temne as Chairman and Leader, which gives the clear message that SLPP is NOT a “mende-man” party. This single act of faith that was done at the Bo convention, has significantly transformed the party to now go out and win the hearts and minds of all of the people of Sierra Leone. Also in his message of winning hearts and minds, chief Kapen said he believes in the politics of “bottom to top” and not “top to bottom”. As I sat listening to his philosophy on how to win the hearts and minds of the people, I got the impression that his leadership will put more effort on building an SLPP that focuses on the grassroots people. Whatever is said about the APC and if there is anything SLPP can learn from them, is about how to effectively mobilise and broaden the grassroots membership. In a country where literacy rate is nothing to write home about, SLPP cannot rely on winning an election simply with the support of the “bookman” or an “elitist” party tag. It has to reach out to every home, community and every Sierra Leonean. But undoubtedly, the recent by-election results in both Kailahun and Tonkolili must have given the Chairman the belief that he is heading the party in the right direction. Ordinary Sierra Leoneans can now begin to feel proud of being a part of an SLPP that will fight for their hopes and aspirations. No doubt, his analysis of the basic elements of democracy was well received by the audience. As Chief Kapen concluded his well received address, the National Secretary General – Sulaiman Banja Tejan-Sie was also very keen to stress to me in our personal discussion in the hall, that the foremost priority of the new SLPP executive is to unify and reconcile members of the party, as that is why they created the twelve-man reconciliation committee headed by Dr. Alpha Wurie. 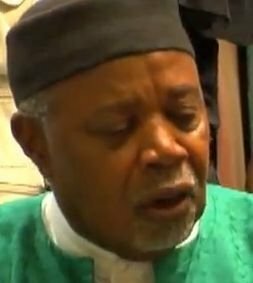 He said SLPP is the only party in the country that has the human resource with the expertise to form a government which can bring meaningful change to the lives of ordinary people, and that is why they will do everything it takes to unite the party so the SLPP can fulfil the hopes and aspirations of the people. Chief Kapen familiarised himself with the SLPP members in the hall with the usual handshakes and greetings, backed by his trademark smiles. It was obvious the Chief was quite pleased with his visit to the UK, especially after attending the governing Conservative party conference in Manchester. He was also hosted at the UK Parliament, and engaged in numerous behind-the-scene diplomatic meetings with UK government officials. And I could not help but smiled when an SLPP member said to me at the London social event that; even though he did not support Chief Kapen during the chairmanship election, his speech and the manner in which he interacted with the SLPP members has made him to believe that Chief Kapen will transform the SLPP from a party in opposition to a party ready for state governance in 2017/2018. 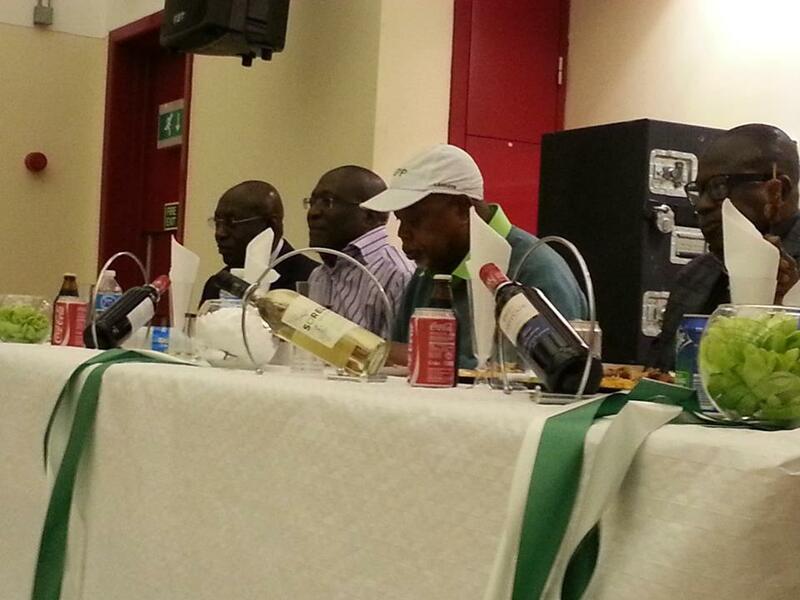 The London social evening was also attended by various dignitaries, amongst whom were the National Organising Secretary, Sheku Kondeh; the Deputy Chairman of APC UK Branch; a former Minister of Youth and Sport, Dr. Dennis Bright; Mr. Foday Yumkella; Chairman Council of Elders, Alhaji Khalil Mustapha; Past Chairmen of the SLPP UK/Ireland branch; Executive members of other SLPP Chapters within the UK/Ireland branch; the Outgoing Chairman, Mr Jimmy Batilo Songa who is standing for re-election; the Outgoing Vice Chairman, Nat Sandi; the Outgoing Women’s Leader, Mrs Sandi; the Outgoing Secretary General, Dr Abu Karim; the outgoing Legal Adviser, Mr. Prince Goba – all of whom will be standing for re-election, and a host of other distinguished members. 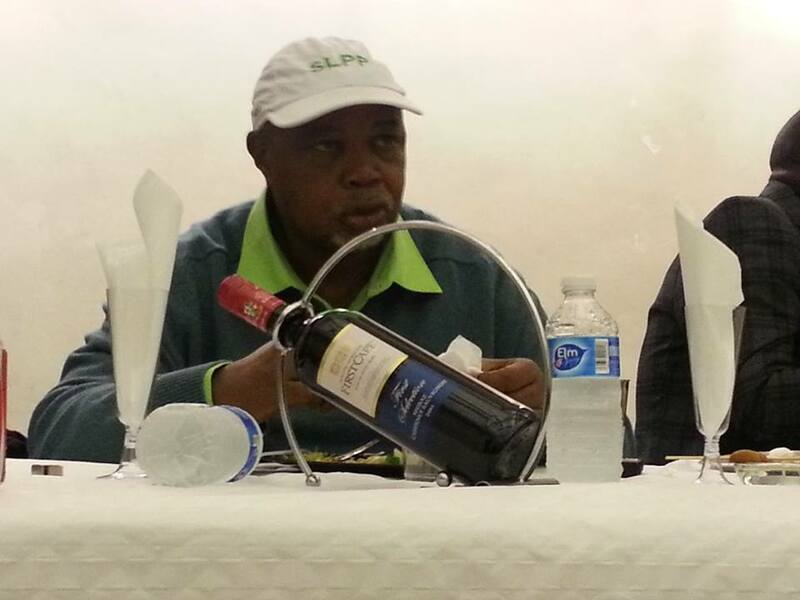 The social evening was chaired by Albert Dugba, Secretary General of the Electoral Commission, SLPP UK/Ireland branch.